Motivational Monday – Self Care is Important! It’s Monday again? Sheesh time is just passing us by isn’t it? But nevertheless it’s Monday so some motivation is coming your way! On todays agenda we have some self-care brewing. Often times we forget how important it is to take a few minutes to ourself to simply let go and be. Today I awoke with a clouded mind and heavy heart so I decided to make it a “self-care day.” My day thus far has consisted of clearing my space, shifting my thoughts, and finding my safe place. Clearing your space is really important, this can be mentally and physically. Our surroundings have a huge impact on our mind without us even knowing sometimes. How many times have you walked into an unkept room and suddenly your mood shifted? Clean and clear spaces give way for a clearer mind. Organizing your space will definitely help you organize your thoughts better and make you feel better overall. Shifting your thoughts is doing anything that takes your mind off of the not so good thoughts or helps you relax. For me, it may be reflecting by writing or doing yoga. Today it was yoga. I grabbed my mat and set my timer for 20 minutes of relaxation and finding my center. By doing so I was able to empty my mind completely and when I was done I had a refreshed outlook on life and the week ahead. Your life becomes toxic and unhealthy when you don’t take care of yourself properly. It’s very important to invest time in doing things that bring you peace and happiness. Find your safe place, find your balance, and most importantly find your center. Living in this world is hard on the mind, body, and soul. The stress hits us from all angles leaving us unbalanced and disheveled. So take the time to meditate, breathe, and clear your mind. Don’t be afraid to disconnect yourself from the world to reconnect with yourself! That’s the takeaway here, being aware of yourself heightens your awareness of life and everything around you. 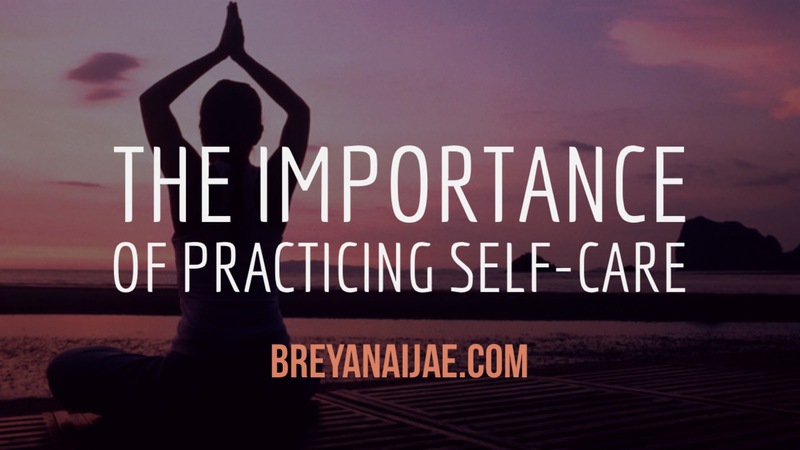 Self-care is just a way to protect yourself from this cruel world and there are many ways to take care of yourself but it starts with learning what you need. Do you need a peace of mind every now and then or to empty it completely. Spend some time with yourself and you’ll see how much of a difference it makes. “Our freedom, peace and joy in the present moment is the most important thing we have” – Thich Nhat Hanh. Today I challenge you to set some time aside to collect your thoughts and focus more on yourself. Mental breakdowns are often the result of stress and pressure that life places on us so let’s avoid that. Take care of yourself, stay hydrated, and don’t let anyone disrupt your peace and most importantly your peace of mind. Also, check out my latest post on my first two self-published books “Behind the Books“. P.S. We hit 13k views on the blog last month, thanks for the continuous support. Check out my YouTube channel if you have the time. Dear Men, is Hair Really That Important?